One more bobcat in our household! 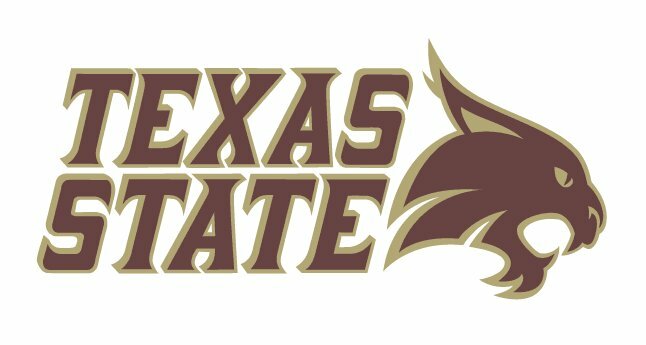 Manny is now officially a Bobcat!!!! I am so proud of him for being accepted into grad school at Texas State. We are beyond relieved and can't wait to get back to Texas!!!!! 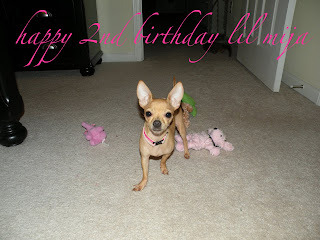 My Mija turned 2 this weekend while I was gone and I didn't get around to blogging about it. I came home last night and she was a little jumping bean!!! A very fiesty 2 year old!!! I have been playing with FotoFlexer. It is my new favorite toy! I have become obsessed with the "old photo" detail. I love the vintage look it gives photos. Here is one that I did of Manny and I in the car leaving our wedding. I used FotoFlexer to do the header of our blog too! It's a great FREE way to play around with your photos! I got it to upload! Here is the picture of me and my dad dancing at my wedding. I'm wiping away his tears in this one. The professional photographers got the money shot of my dad crying though! It is a full on crying face shot! Love ya dad and I love this picture! Well it has started happening! Truthfully, it has been happening for quite some time! I am slowly turning into my mother! Unlike some daughters, I aspire to be like my mom. She has taught me many life lessons and been my loudest cheerleader through out the years! She taught me to be a strong, independent woman, but at the same time, she taught me to love with my whole heart! It's a great thing to be like my mother. I will say that I am a little louder and probably a little more outgoing than my mother. I have always been a smarty pants and quite often a jokester. I am after all the one in the family that has the most jokes about them. It's quite alright! I am fully able to laugh at myself! Here is a picture of my mother and I on my wedding day! Now, this is how I realized this evening that I have taken another step to being similar to my amazing mom! I was watching the wedding of Jason and Molly from the Bachelor this evening and found myself crying during the actual ceremony part. 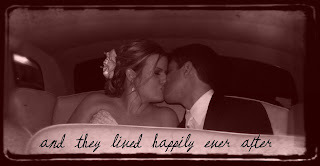 I have never been much of a crier about weddings until I went through my own. I guess they all just remind me how I felt on that day! I have always said that my mother could crash a complete strangers wedding and cry at it. I on the other hand couldn't. Well, I now cry at any and every wedding that I see. It's unreal to me that I cry at the word wedding (that's an exaggeration, but you get the point)! Everytime I see a wedding I remember my wedding day. I remember saying those vows and how my husband was looking at me! It was such an amazing day! As amazing and emotional as it was, I did not cry at my own wedding. It was just too hectic to cry. The day went smoothly and nothing unplanned happened, but you truly are the center of attention the entire day that I didn't have time to cry! Plus, I am not one to cry around people! I just don't think the crying face is an attractive look! I really try to cry in private if I can help it! It's becoming more difficult to do that! My wedding day went by so fast and I feel like I should go back and do it all over again to really soak up each moment. It's just not possible for a couple to get it all in that day, it truly is a busy busy day!!! Another reason I didn't cry during my ceremony was because of Manny! I have married one of the most up beat men on this planet. He keeps a smile on my face and I am constantly laughing. I was very nervous walking down the aisle. It's weird to have 100+ eyes on you. Manny was at the end of the aisle waiting for me with the biggest smile you've ever seen. I know he knew I was nervous, but I wasn't prepared for how he was going to relax me. The preacher asked a question which we were supposed to answer by saying "I will." Well Manny, being Manny, couldn't just say the words. He yelled the words and everyone in the room started laughing. That put me at ease. I always wanted a laid back comfortable wedding and at that moment Manny made the wedding relaxed and more us. From then on in it was smooth sailing. I just kept my thoughts on the amazing man I was marrying and totally forgot about all the people staring at us! Manny also closed the wedding with a laugh. I wore a bird cage veil at my wedding. I originally was going to have it fall underneath my chin, but decided that I didn't want to do the whole lifting the veil thing. Instead I had the veil hit right above my mouth. That way nothing would need to be moved out of the way for the first married kiss! I think Manny thought you were supposed to lift it anyway and right after the preacher said "You may now kiss the bride." Manny stopped, looked at me, and said "Am I supposed to lift this up?" I gave him a big fat "No" and shook my head. The veil was bobbypinned down and I can't even imagine what it would have looked like had he tried to just pull that veil back! It would have been a hair mess. Well the whole thing made everyone laugh again. This is a picture of him asking what he should do with my veil. Now don't get me wrong! My dad has been know to cry a time or two. I think I get the don't cry in front of people from my dad. But lets face it, most fathers cry at their daughter's weddings, especially if it's your only daughter. He was so sweet during our father/daughter dance. He cried through the whole thing and talked about how much he loved me! I have a very sweet dad! I have a picture of it, but for some reason it wouldn't upload. So I guess I need to thank not only my parents for turning me into a crier, but also my husband. Without experiencing the love he has shown me or the crying gene my mother has passed down to me, I wouldn't have turned into this crier I have now become. I love you all so very much!!!! 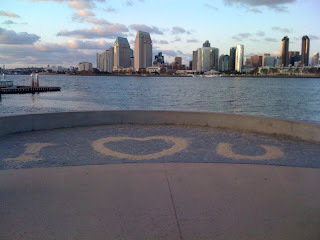 Manny was walking around Coronado today and texted this to me. Awww, how sweet! One of the many ways he tells me he loves me! Manny has been gone for a little over a week on his LAST underway with the Navy!!!! Well they stopped in San Diego and he stumbled upon a little shop I think called The French Room. This is how well my hubby knows me, he saw this hat and said it was me! Isn't he cute!!! But I convinced him to send me a picture of it and he's right, I love it! It's very me and I can't wait to wear it. Excuse the background of this picture. 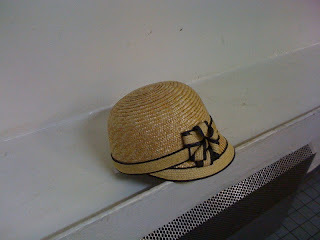 My cute french hat is living on a naval ship for a week! I'm sure it adds a little something to a shop filled with sailors!!! I love it honey!!! I can't wait for you to finally come home!!! !